Have you been arrested for DWI in Dutchess County? 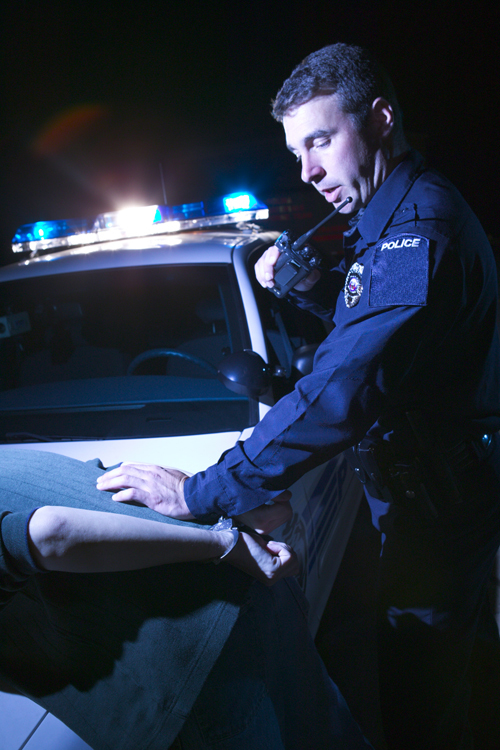 Have you been arrested for DWI in Dutchess County New York? Call The Dutchess County DWI lawyer counselors at the Giordano Law law firm. We provide a free consultation to determine the best defense strategy in DWI cases in Dutchess County New York. As a leading Dutchess County DWI attorney, Anthony M Giordano has defended DWI cases in Dutchess County, New York for 30 years. DWI in Dutchess County New York is treated as a serious crime, the punishments are often quite severe and require an experienced and aggressive Dutchess County DWI Lawyer. Anthony M Giordano has aggressively defended DWI cases in Dutchess County for 30 years. As a former prosecutor, he has obtained favorable results for clients charged with felonies, misdemeanors, violations, and DWI in Dutchess County, New York. Very serious punishments can be imposed for DWI in Dutchess County, including, but not limited to, incarceration, probation, fines, surcharges, suspension or revocation of one’s New York driver’s license, increase in insurance rates and the requirement for an interlock device in one’s car. Mr. Giordano’s experience serving as a Dutchess County DWI lawyer is a key factor in delivering a fair outcome for his clients. For example, in a recent case, Mr. Giordano’s client was arrested and charged with a felony DWI in Dutchess County. Mr. Giordano reviewed both the felony and the underlying conviction and decided that the underlying conviction could be successfully vacated on the grounds of ineffective assistance of counsel. Mr. Giordano successfully vacated the underlying plea resulting in his client no longer exposed to becoming a felon. The case was appealed and established parameters for any DWI defense attorney in Dutchess County that is working a case. New York State’s current DWI laws punish an accused on arrest for DWI in Dutchess County. Driving privileges are jeopardized regardless if one is a first-time offender- and before a judge or jury has seen a single piece of evidence. If a breath test results in a BAC (Blood Alcohol Content) greater than .08, a New York judge must take their driver’s license at arraignment (the first court appearance). This starts a 30- day period during which an accused can be without a driver’s license and unable to drive in New York! A hardship hearing is available but requires one to establish that the loss of driving privileges constitutes a “substantial hardship”. The decision to grant a “hardship” driver’s license rests exclusively with the judge. The burden of proof is upon the accused to prove a substantial hardship. Such proof must consist of more than just the accused’s testimony. The best odds for obtaining a hardship driver’s license lies in going to court with an experienced Dutchess County DWI attorney. Refusing a breath test in Dutchess County has become a viable option. This protects an accused against the increased penalties of aggravated DWI in Dutchess County and reduces the risk of a felony prosecution, if an accused has a prior conviction within 10 years. But the cost for refusing a breath test in Dutchess County is usually one’s driving privileges. Upon a refusal, your New York driver’s license is taken at arraignment and you are ineligible for a “hardship” license. A Motor Vehicle Department hearing will be scheduled to determine whether 1) police had proper cause to seize the vehicle being operated by the accused, 2) whether police had sufficient probable cause to believe operator of the vehicle was intoxicated and driving while impaired in Dutchess County 3) whether police properly advising the accused of their breath test refusal rights. If police meet this burden, driving privileges are revoked for at least a year or more. WHAT TO DO IF STOPPED FOR DWI IN DUTCHESS COUNTY?? KNOW YOUR RIGHTS!!! 1. DEMAND TO SPEAK WITH LEGAL COUNSEL OR A DUTCHESS COUNTY DWI LAWYER IMMEDIATELY. Unlike most police actions, when charged with DWI in Dutchess County, New York one is not entitled to have a Dutchess County DWI lawyer present during the administration of a breath test. One’s right to counsel is limited. One only has a right to confer with counsel or a Dutchess County DWI lawyer and even that right has limitations. A general request to confer with a Dutchess County DWI lawyer prior to taking a blood test is ineffective as an assertion of one’s right to counsel. In Dutchess County DWI cases, a specific Dutchess County DWI lawyer must be requested. A general request will not obligate police to take steps to obtain a Dutchess County DWI lawyer. If police are provided a specific Dutchess County DWI lawyer’s name, they are obligated to provide only an opportunity for an accused to confer with that Dutchess County DWI lawyer prior to administering a test. If they are unable to contact a Dutchess County DWI lawyer after a reasonable period, the decision to take the test must be made without the advice of a Dutchess County DWI lawyer. If such efforts unreasonably delay the administration of the breath test, the breath test must be taken or a refusal alleged. But if police fail to provide any opportunity for an accused to speak to a specific Dutchess County DWI lawyer, the DWI breath test result can be precluded from use at trial. 2. REFUSE TO SUBMIT TO FIELD SOBRIETY TESTS IN DUTCHESS COUNTY, NEW YORK. A person charged with DWI in Dutchess County is under no legal obligation to perform Field Sobriety Tests (FST), such as the “Walk and Turn” and “Finger to Nose” tests. One should decline to do these DWI driver field sobriety tests for many reasons. First, there are no standards for passing or failing them. Whether one passes or fails is exclusively the opinion of the arresting officer. And if he is making you undertake them, chances are he is planning to arrest you for DWI in Dutchess County. Second, very few people who submit to these driver field tests avoid arrest for DWI in Dutchess County. People have failed them for absurd reasons, many having nothing to do with intoxication. One client failed a DWI field sobriety test for raising his arms more than 2 inches from his side doing a walk and turn test. Another failed for placing his foot more than ½ inch behind his other foot during a doing the same field sobriety test. Police routinely fail people accused of DWI in Dutchess County on FSTs for missteps that perfectly sober people do. Police use these FSTs primarily as additional “evidence” against an accused and not as a means to weed out sober people from intoxicated people. So if asked to do a “Walk and Turn” test, decline. It is your right. What are the alcohol and drug-related violations in Dutchess County and New York State? Aggravated DWI in Dutchess County: Aggravated Driving While Intoxicated: .18 BAC or higher. DWAI/Alcohol: Driving While Ability Impaired (by alcohol) in Dutchess County; more than .05 BAC to .07 BAC, or other evidence of impairment. For drivers of commercial motor vehicles who are under age 21, .02 BAC or other evidence of impairment. DWAI/Drug: Dutchess County Driving While Ability Impaired by a single Drug other than alcohol. DWAI/Combination: Dutchess County Driving While Ability Impaired by a Combined Influence of Drugs or Alcohol. Chemical Test Refusal: A driver who refuses to take a chemical test (normally a test of breath, blood or urine in Dutchess County) can receive a driver license revocation of at least one year (18 months for a commercial driver) and must pay a $500 civil penalty ($550 for a driver of commercial vehicles) to apply for a new driver’s license. A driver who refuses a chemical test during the five years after a Dutchess County DWI-related charge or previous refusal will have their driver license revoked for at least 18 months (permanent for a commercial driver) and must pay a $750 civil penalty to apply for a new driver license. If the driver is under age 21, and refuses a chemical test during the five years after a DWI-related charge or previous refusal, they will have their driver license revoked for at least one year or until age 21, whichever is longer and must pay a $750 civil penalty to apply for a new driver license. Zero Tolerance Law in Dutchess County: A driver who is less than 21 years of age and who drives with a .02 BAC to .07 BAC violates the Zero Tolerance Law in Dutchess County, New York. Have you been arrested for DWI in Dutchess County New York? Call The Dutchess County DWI lawyer counselors at the Giordano Law law firm. We provide a free consultation to determine the best defense strategy in DWI cases in Dutchess County New York.